The official calendar in Turkey is exactly the same as used throughout most of the world. It is the Gregorian Calendar, which starts by birth of Jesus. But because of Turkey is a Moslem(Muslim) country all Religious Festivals comes by the HIJRI (Hicri) calendar... a lunar calendar that which is off-set from the Gregorian by 11 days every year. Islamic calendar is Lunar based but does not mean that Moslems(Muslims) worship moon. It is simply another way to count days of the month and the year. Like all Islamic months, RAMAZAN(Ramadan), the 9th lunar month, begins after sighting Crescent, and not the birth of the new moon. The practical effect of this is that the positions of the various religious holidays and festivals are not fixed but rather move in relation to the year. The Month of RAMADAN (Turks call RAMAZAN) is a period of one month fasting. Moslems(Muslims) for this 30 day period when the devout will refrain from eating or drinking between sunrise and sunset. In rural or conservative areas of the country you may find open restaurants a little scarce but in the big cities life goes on pretty much as usual. During the month of Ramadan(Turks call RAMAZAN), wherever you go, it's a little rude to eat in the streets and public places, etc. But for you the plus side of Ramazan is that you can get the excellent PIDE; which is a flat bread that only available during the Ramazan, almost anywhere and it's very tasty. The word of 'Seker' means candy or sugar in Turkish. SEKER BAYRAMI immediately follows the month of Ramadan (Turk call RAMAZAN) and it is a very important family holiday. It is a time for giving love of ALLAH and respect. During 3 or 4 days of BAYRAM celebrations, Turks do short visits to their relatives and to near friends in their homes and traditionally candies as Turkish delights which call lokum or chocolates offered and simple, inexpensive presents mostly given to the children. If you are planning to visit Turkey during Ramadan (RAMAZAN, in Turkish), contrary to major Moslems (Muslims) citizens, yes, you can eat, drink during the day and this mean it's legally ok and no one will bother to you! Although it's not very polite to eat in front of people during a Ramadan day. Btw; yes, in some of the small towns and conservative areas, some of the restaurants might kept closed during day time hours but in the most other ones, food service will be as normal in all hotels. On the others side; please take note that, traffic can be problem 1 hour before the IFTAR... which is the time when sun goes down and Moslims allow to eat. It is better if you do not take sight-seeing during this time. 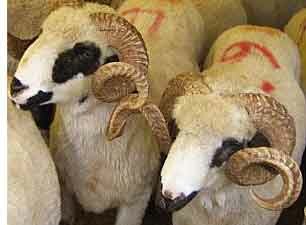 Kurban Bayrami the most important religious and secular holiday of the year. Kurban means 'sacrifice' in Turkish. Kurban Bayrami comes during the happy season of the pilgrimage (HAC, in Turkish) period, to thank ALLAH (God) for sending a ram for Prophet Hz.Ibrahim (Abraham) to slaughter instead of his son Ismail (Ishmael). traffic! Travelling before the holiday you'll notice the build up ram and goats outskirts of towns and cities as their owners bring them in to be sold. On the day itself the more squeamish may want to keep out of the way as many animals are despatched in gardens or the street. Please take note that, this is also a major public holiday in Turkey and mean while this holiday of KURBAN BAYRAMI is 4 days and all the schools and governmental offices, many stores and private businesses will be close. Even sometimes, depend of the day of the week, this holidays joins to the weekends... and public gets a whole week or more days off. Again... this is a major public holiday and all the highways, bus/train stations, see ports and airports are extremely busy by travellers. If you are traveling by your own transportation please be very careful with the traffic! Contrary not celebrate the Christmas, Turkey, like the US, follow the Gregorian calendar that starts with bird of Jesus. Turkey is 98% Muslim country therefore Turks do not celebrate Christmas. But 31st of December evening Turks celebrate the New Year itself in a big way. People wishes to each other the best of the best for the incoming year and start with a fresh outlook . Meanwhile, usually children get some presents. To contrast the US, in general Turks do not gather on New Year Eve in open areas. But in last years, people also began to go outside to public gatherings to celebrate the new year with fireworks. In big cities some of the companies build giant TV screens at the city's circles so people can watch what is happening at the other gatherings in the world. Other than that the most of the people get together in their homes and have whole family a wonderful dinner, the dinner that specially prepared with many kind of delicious dishes and deserts on the table. They enjoy listen music, dance, play fun games and watch special New Year shows on TV. All TV channels air programs with special artists' performances.Meanwhile, nowadays, young people mostly goes out to night clubs and musical shows. While the world is moving toward globalization, as you can imagine the things are becoming shared almost everywhere now... That is also valid for Christmas (Noel) trees. Lately some people in the big cities began to use symbolic pine trees as a decoration for the new year. Meanwhile this gets important criticism from most of the religious citizens.